What is the PROCHIP research project? The goal of the project is to build a high-throughput super-resolution microscope in a microfluidic chip smaller than a coin capable of providing high resolution imaging of hundreds of cells at the diffraction limit and beyond, with minimal photo-toxicity. The targeted breakthrough is to interrogate cancer heterogeneity at single cell level by classifying freshly isolated cancer samples based on their chromatin architecture: we aim to use chromatin alteration as a marker for cancer. 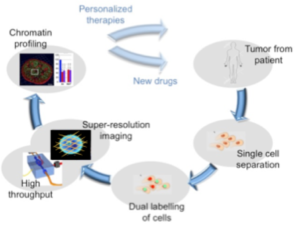 Our long term vision is to develop a new enabling technology, able to extract cancer cell from a patient, assess alterations in chromatin architecture at single cell level, and define a targeted personalized therapy or drive the development of new drugs and pharmaceutical treatments. 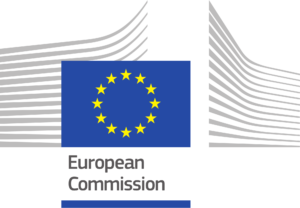 PROCHIP Project has been granted a 2,5€ million from the EU H2020 FET Open programme. The 3-years project will be carried out by an international consortium of 6 organizations from 3 European countries, led by the Italian National Research Council.